The Document Foundation has released LibreOffice 4.0 today, which, according to the official announcement, is the "first release that reflects the objectives set by the community at the time of the announcement, in September 2010: a cleaner and leaner code base, an improved set of features, better interoperability, and a more diverse and inclusive ecosystem". The new version brings Unity appmenu support, option to use Firefox Personas, better interoperability with DOCX and RTF documents and many other changes. Significant performance improvements when loading and saving many types of documents. However, the appmenu integration by default didn't work in my test under Ubuntu 12.04 or 12.10 (with LibreOffice debs downloaded from its website). This does work with the LibreOffice 4.0 beta 2 version available in the LibreOffice Pre-Releases PPA for Ubuntu 13.04. To set a Persona, from the LibreOffice menu select Tools > Options > Personalization > Select Persona. You can download the LibreOffice Impress Remote Android App from the Google Play Store. Integration of session installer to add missing parts of LibreOffice on the fly. For a complete list of changes in LibreOffice 4.0, see THIS page. 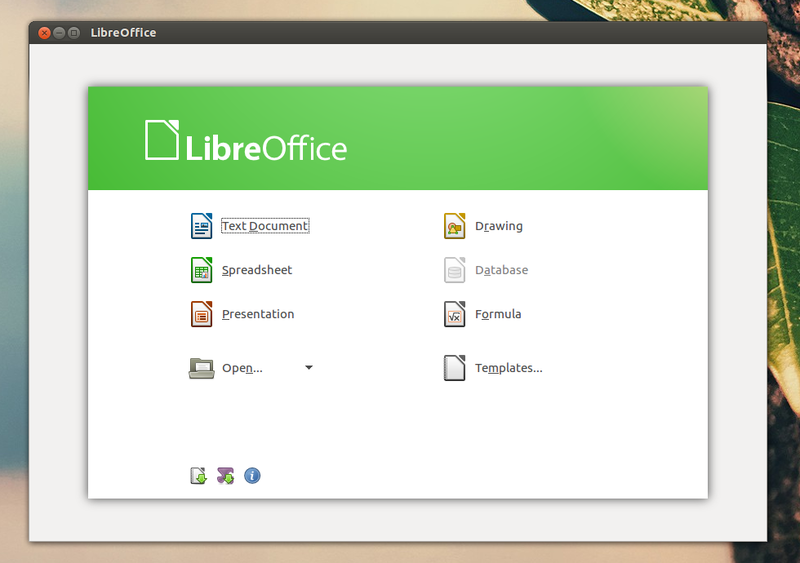 Update: the main LibreOffice PPA has been updated with LibreOffice 4.0 for Ubuntu 12.04, 12.10 and 13.04. Ubuntu: Ubuntu 13.04 users can use the LibreOffice Pre-Releases PPA to install LibreOffice 4.0 beta 2. There's also LibreOffice 4.0 alpha 1 in the same PPA for Ubuntu 12.10, but I don't recommend installing it. It's easier to simply download LibreOffice 4.0 deb files from the LibreOffice downloads page.